Season 2 of Vice’s Tattoo Age has landed with the first Valerie Vargas episode streaming now. 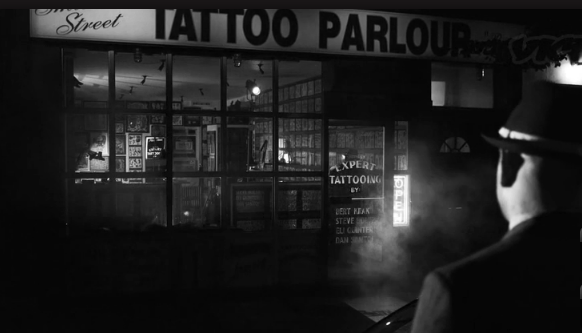 The folks behind the series made a promotional short film starring Troy Denning and Dan Santoro doing their best tattoo film noir. Kind of silly, but it’s still better than Dave Navarro. Don’t forget that the last episode of the first arc of VBS’s TATTOO AGE (featuring Dan Santoro) will hit on 27th July. It’s a great episode; features more antiquing than tattooing and gives you a really personal insight into Dan’s life and collecting habits. 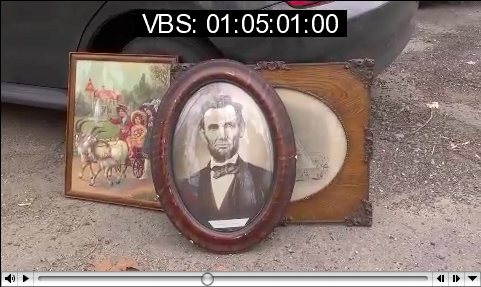 You get the feeling that if it weren’t for his store, he might get overrun with ephemera. I’m never someone who thinks that tattooers should be famous; hell, I don’t even think most celebrities should be famous. But respected is a whole ‘nother story. I’ve only met Dan once, very briefly while my armpit was getting tattooed by Robert Ryan, but these episodes gave me a much appreciated peek into someone else’s life, and if the rest of the series ends up being this good…. 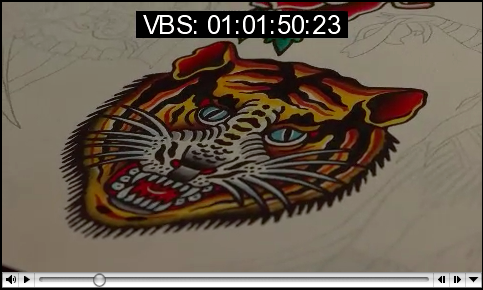 I just watched a sneak peak at the first episode of Tattoo Age…. It’s exactly as good as most of us were hoping it would be. Total geek stuff here; no drama or contrived reality tv vibe; just banter from a bunch of guys who know each other a little too well (the Smith Street crew) and a lot of ‘in the shop’ scenes that will remind you of time you’ve spent at the shop talking about tattoos, breaking balls and having a good time. The best thing I can say about it is- It will have very limited appeal outside of the tattoo community. I really can’t wait for the rest of the episodes to air! I’m someone who gives a lot of credence to meaningful coincidence; synchronicity has been a very strong influence in my life for the last decade, one that’s guided me in the right direction when I was lost, taken me in when I needed it and introduced me to some really amazing folks. 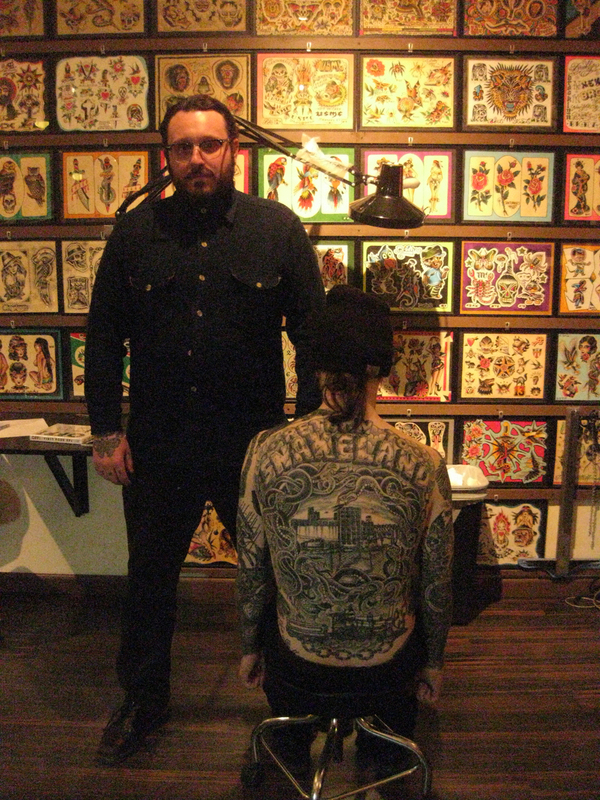 When I was getting tattooed Monday at Electric, I was introduced to a gentleman named Dan. Earlier this morning, I posted the Tattoo Age promo here on OV. A few minutes ago I received a press release for the Tattoo Age series, which features the very same Dan Santoro. Nice and smooth, just how I like it. Follow the break to find the showtimes/information on Tattoo Age.